In this two-part series dedicated to college/post-secondary education planning we will look at what you should be considering at different stages in your child’s life. We’ll start by focusing on college/post-secondary education planning for newborn children through middle school. The second blog in this series will be dedicated to planning for high school aged children. Post-secondary education expenses have continued to rise at a rate far surpassing core inflation, making it incredibly important to start planning early if you intend to help your children pay for post-secondary education expenses. You can begin saving into a qualified college education savings plan as soon as your child is born. Qualified college education savings plans allow you to save after tax dollars into an investment account that grows tax free and allows you to take money out tax free to pay for qualified post-secondary education expenses. If the funds in the qualified college education savings plan are not utilized by the listed beneficiary of the account you may change the beneficiary at any time to somebody else you would like to use the funds, such as another child or family member. If funds are taken out of the account for any reason other than qualified post-secondary education expenses, you may incur capital gains taxes on the growth and possibly an additional 10% penalty. The key is to begin saving as early as possible. You want to allow time to work for you considering most college savings plans utilize investment vehicles that can fluctuate in value depending upon how you invest the money within the account. Time is your friend when it comes to investing. 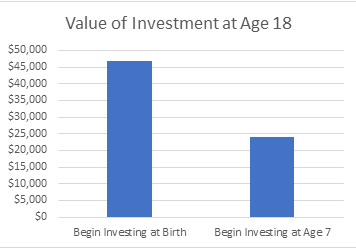 As an example of how time in investing may help, consider that if you invested $500 up front when your child is born then $100 per month through age 18 at 8% interest, you’d have $46,938.30 at age 18. If you didn’t start investing until your child is 7 years old and follow the same plan of $500 up front then $100 per month at 8% interest, you would end up with $24,031.64 when your child is 18. 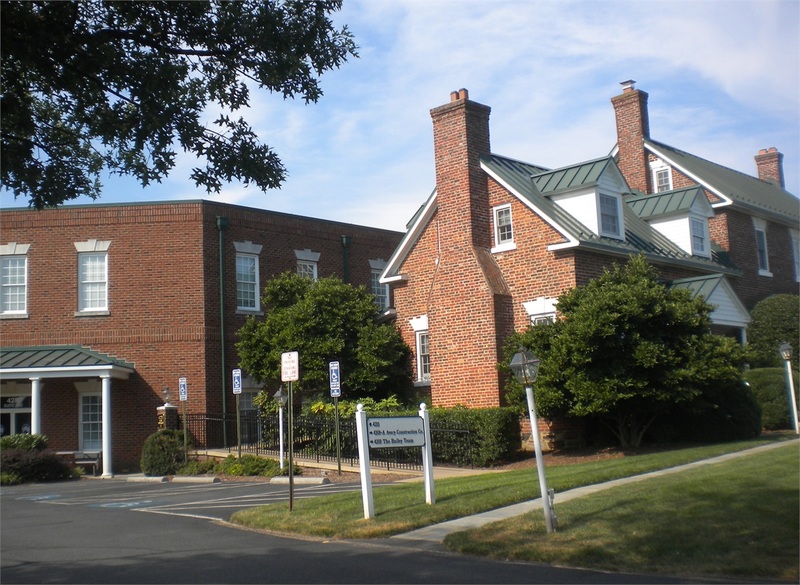 The following link will provide you with the 529 college savings plans available through the state of Virginia. Please note, you can purchase plans through states other than your state of residency but there may be tax implications to consider. It’s important to have a strong plan in place and consider not only the future education expenses of your child but also your needs, wants, and wishes. A comprehensive plan is extremely important to ensure all aspects of financial planning are taken into consideration when setting out on your life journey.